Thank you for visiting our website and taking your first steps towards a more healthful and balanced approach to wellness. Our practice is conveniently located on Elden Street, in the heart of Herndon, with easy access from the Fairfax County Parkway and the Dulles Toll Road. Drugs and surgery are not your only options! Modern chiropractic care offers an effective alternative to the treatment of a variety of musculoskeletal injuries and conditions. 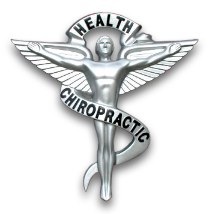 An experienced chiropractic physician, Dr. Julie McLean provides state of the art chiropractic care, physical therapy, therapeutic exercise programs as well as nutritional counseling. Patients seeking care at our practice are assured of the highest quality of care and Dr. McLean's personal commitment to achieving their health and wellness objectives. To complete your personal wellness program, Dr. McLean's office provides a multitude of therapeutic massage options from three experienced, professionally trained and certified massage therapists.